Waiting on Paul Wall for an interview is like waiting for the Royals to win a World Series. Although, when they finally win (as they did in '85), it makes it that much sweeter that you stood the wait, and I'm no fair weather fan. Paul, born Paul Slayton, is an amazing individual who has quite a story. And despite the fact that his main lyrical preoccupation is with bling, cars, and money, he has a rather unique political history and perspective. It is this kind of irony and complexity to Paul that flies in the face of dismissive hip-hop conservatives who presume money rappers lack depth or can be "conscious". MVRemix: How'd you first get started rapping and who and what were your influences? Paul Wall: For me it was just a hobby; it was just something we did for fun with my friends on the school bus; at the lunch table when we was back in Junior High/High School. I think my main influence; number one was Lil Keke. He was one of the original Screwed-Up Click members who started it all off with DJ Screw and Fat Pat, and really, I was just a big fan of them. Back then when we used to turn on the TV; we used to see all East Coast music. We'd turn on the radio in Houston and we'd hear all West Coast music, but on the Screw tapes it was more Texas; you know, local music. It was just something I really embraced and took a lot of pride in because they were talking about things that I was seeing and it was in a language that I could understand, especially as a young kid. They got they own slang up North; on the East Coast; on the West Coast; sometimes I didn't know what the hell they was talking about. MVRemix: Was "Still Tippin'" your first mainstream debut? Paul Wall: Yeah. I had a bunch of other hits locally on Texas radio, but "Still Tippin'" was the first thing nationally that just gave me a whole bunch of coverage, that opened the world up to see, "Who is that?" MVRemix: How did you and Mike Jones get down? 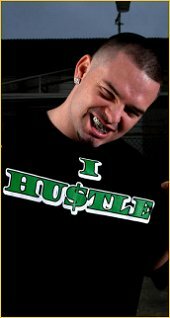 Paul Wall: The Swisha House been around for a while, it was like home to a lot of people giving us our starts. Slim Thugg was the first one that just really excelled, like dramatically. When Slim Thugg got down it just took it to a whole other level. And after that I came in and then a couple years later Mike Jones. Swisha House had always been like a transitional process for people. If you're trying to get yourself known you'll come get on some Swisha House tapes and you'll go sign with an independent label and go off and do your own thing. So it was always kinda like a stepping stone for a lot of people. Mike Jones came in at a time when it wasn't nobody else in the Swisha House; everybody had moved on to other things. And then eventually, the label I was with, the contract came up, and I ended up going back to the Swisha House. At this point it became a label where before it was straight up mixtapes; Mike Jones was the first artist along with this guy Magnificent. And then I signed on too. MVRemix: I understand that a few months back you were on the Howard Stern show. Did you feel at times that he was trying to treat you as a novelty? Paul Wall: Yeah, a little bit, but it's just to be expected. I'm a big fan of Howard so I wasn't trippin. Really, he kinda took it light on me, he coulda been a lot worse. When we went off the air, you could see in his body language that he genuinely seemed like he had love for me. Regardless of what he was saying, he was just kinda joking around a little bit, for ratings or whatever. He just seemed like one hell of a cool dude off the air. Even if he would have been real hard on me, I still woulda laughed. I'm a big fan of Bill O'Reilly too, even though I don't agree with what he' saying; most of the time I don't agree with nothing he's saying, its just funny to watch because he lettin' the people have it. A lot of times I watch just to see another point of view. Its something that my Mom taught me, to keep an open mind. Sometimes its just cool to hear the other side of people's arguments. But I'm sure if I went on Bill O'Reilly he probably would have let me have it too. MVRemix: I'm sure he would too, he's not too fond of hip-hop. Paul Wall: [laughs] But for people to respect me for who I am, that really means a lot to me because I don't expect nobody to understand where I come from because they ain't lived how I lived and grew up where I grew up. MVRemix: I also understand that you were recently married and had a son. How has marriage and fatherhood changed you, if at all? Paul Wall: It just helped me become more stable, it gave me purpose in my life. I'm ain't runnin wild no more, I got a home now. It helped me focus on what my goals are as a person, as a musician. Now I know what I need to do and not play no games. MVRemix: And you were originally going to name your son after Roger Clemens. What was the situation surrounding that? Paul Wall: The day that he could sign back to the Astros was May 1st. They had a whole arbitration deal and May 1st was the day that he could begin negotiating talks with other teams or with the Astros and that was the due date on the baby so I said I would name him Roger if he signed back to the Astros. The baby came a week or two early and he didn't look like he knew what he wanted to do so I said, you know what, I'm a good ahead and name him after the late great Fat Pat. MVRemix: What is the baby's name? MVRemix: Tell me about your social surroundings growing up, what did your folks do, what was your neighborhood like, was it predominately white, black, or both? Paul Wall: My neighborhood was a little wild because it was a real mixture. I had a lot of Asian friends, a lot of black friends, a lot of Hispanic friends, and white friends too, and it was middle-class, so growing up, I got to see a lot of different cultures. We had a lot of kids my age so I got to hang around with a lot of different people and we all had the same interests. We just had fun rapping and playing basketball, and then as I started growing up, I moved around a lot, so I got to live in a lot of different neighborhoods, from where I lived in Woodland Trails, to the Ward, to the Southwest side, to South Park, so just seeing the different areas of Houston helped me get a better embrace of the city. "My mother used to march for a lot of different causes where she was growing up, like the Civil Rights movement; she used to march with the freedom fighters, not only just in America"